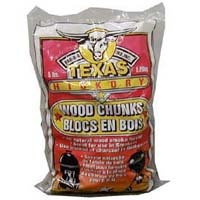 Hickory Flavoring Wood Chunks from Texas. 5 lbs. Full color poly bag.